Truth - I didn't finish this book. 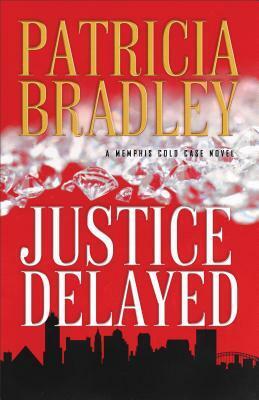 I really enjoyed the first book in this series, Cold Shot, and was looking forward to this one so much. Unfortunately, I never found anything in this book to hold my attention. I felt the character development was very poor, and Avery just about drove me nuts. Her constant internal struggle with the way her life used to be vs her current situation. I just wanted her to tell her partner what was going on so they could move on to more important things. I felt the missing person case was too predictable for these characters, and I just felt uninterested in the entire thing. After her small son, Kevin, asked both God and Santa for a new daddy for Christmas, and then didn’t find him under the tree, school teacher, Jessica Lyons is starting the new year out with a very unhappy six-year-old on her hands. 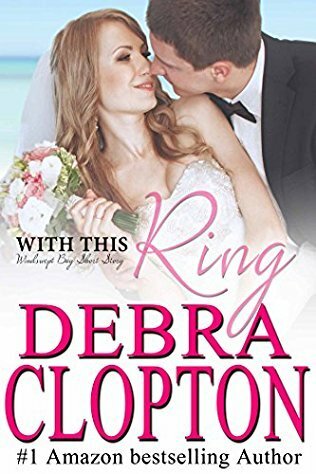 Kevin can’t understand that she’s only been a widow for 2 years and she can’t imagine marrying again—not yet at least. But, unknown to her Kevin has a plan and has decided that if God and Santa won’t give him what he wants then maybe the police can! 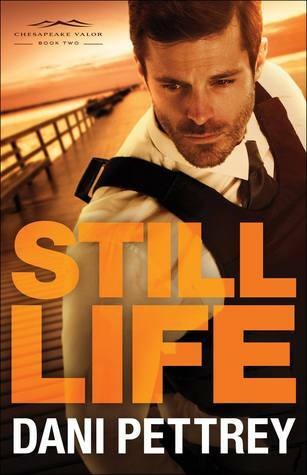 I have been waiting for hunky Levi Sinclair's story, and it did not disappoint in any way. Levi is the local police chief, and apparently the goal of many of the women in town. The thing is, he doesn't even realize it. Then Levi falls in love with six-year-old Kevin. The relationship that Levi and Kevin forms melted my heart immediately and had me hoping these two would somehow find themselves in each other's lives on a permanent basis. The only thing standing in their way is Kevin's mother, Jessica. Jessica and Kevin have been through a world of hurt following the death of her husband, Adam. Kevin seems to have recovered more quickly than his mother, and he is determined to make Levi his father. Jessica isn't too sure. Her heart is guarded following the death of her husband, and she is so sure she is not ready to marry, she's not even trying. As Levi and Jessica become friends, we see the sparks almost instantly. These two are meant to be together, but it takes the work of the entire Sinclair clan to finally convince them of their love for each other. This installment of the Sinclair family had so much love and made my heart so happy. Whether you are new to the Sinclairs, of have been reading all their stories, this story is one you must get your hands on. This is one of those series I find myself impatiently awaiting the release of the next book. It is just that good. 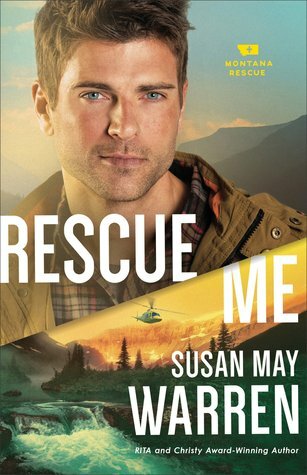 We first met the PEAK Rescue team two books back, and it seems the series will use each book to focus on a specific member of the team. In this book, we get to focus on Sam Brooks. Sam is so stubborn. We know of his tormented history and the rocky relationship he shares with his brother. The only thing that seems a constant in his life is his relationship with Sierra. But one minute of misunderstanding and he suddenly can't get Sierra's sister, Willow, off his mind. It was at that point that I began begging for Sam and Willow to end up together. Willow is as care-free as they come. While many see this as a character flaw, it is this trait that makes me love her. I love that she lives life to the fullest and rolls with the punches. She has a massive trust in God that he will provide everything she needs in every situation she faces. We should all live more like her. The only thing she wants in life is Sam, but she also wants her sister to be happy, so she vows to stay as far from Sam as she can. Fortunately, Sam and Willow end up having a very bad horrible day. They take the youth group on a hiking trip and everything that could go wrong does. The group finds themselves cold, injured, and in need of rescue - about 30 miles from where anyone thinks they are. As Sam and Willow spring into action to save everyone's lives, we begin to see their relationship grow. But they both know they will have to face Sierra if they ever get rescued. The twists and turns that keep this book moving are heart-stopping. Each time I thought everyone was going to end up rescued and happy something else happens to turn the story all the way around. Through their struggles and their accomplishments, the characters in this book learn a whole new way of trusting in God. The result is amazingly beautiful, and a great reminder that no matter what happens in life, God's got this. I cannot wait for the next book in this series! 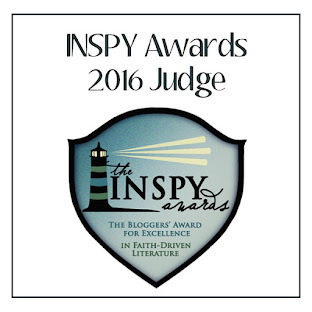 From the moment I became a fan of Christian Fiction I have been hearing about Karen Kingsbury and the Baxter Family. I have heard fans rave about these characters and I've heard fans tell of the way this family changed their lives. I just knew I had to jump in. One of my reading goals for 2017 is to get through the entire Baxter Family series. This family is actually spread out across five series and three books from Kingsbury, so I am going to review each individual series as I conquer it. I started at the very beginning - THE REDEMPTION SERIES. In THE REDEMPTION SERIES, we meet the Baxters - John & Elizabeth, Erin, Brooke, Kari, Ashley, and Luke. Although the books are laid out so that each kid is the focus of each book, the entire family is intertwined into these stories in a way I have never experienced with a book series. And this family, they have their issues. But they also have a solid foundation in their faith in God, and John & Elizabeth do an amazing job of continuing to guide their adult children in their faith while also allowing them to be the individuals they have grown to be. In this series we follow the family through an affair, murder, September 11, unexpected pregnancies, health scares, tragedy, broken hearts, and death. We watch this family pull away from each other, and we watch them come back together to give the kind of support you can only receive from your family. I fell head-over-heels in love with each member of the Baxter Family and found myself wide awake at night wondering how they were doing! But this series does so much more than simply provide reading entertainment. From this series, I learned better strategies for working through life in my marriage, interacting with my children, being a friend to those in need, and growing my faith in God. While these books are full of fictional characters and their fictional issues, they are also some of the most amazing self-help books I've ever had in my hands. I cried through most of this series - both sad and happy tears. When Elizabeth writes a poem to one of her children on their wedding day, I cried so hard it took me 20 minutes to read the poem! 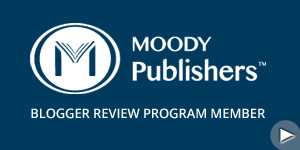 It is gut wrenching and will make you a better parent. So overall - YES! If you have never heard of the Baxter Family, if you read it a long time ago, or if you have ever just considered it - find a copy of this series and get to it. I can tell this journey is going to be amazing. This first book in a new series brought entertainment and new characters but didn't bring enough to have me itching for the rest of the series. Brad and Andi lost their sister, Stephanie, to murder almost 20 years ago, and the supposed killer is about to be executed. However, a recent suicide has just enough doubt and circumstance to suddenly make Stephanie murderer look innocent. It is this plot line where we meet an array of characters who somehow are all tied together by Stephanie’s past. Honestly, I found it a little unbelievable that so many people would have jobs that just happened to be what was needed to finally solve the case of Stephanie’s murder. I had a hard time believing that many of these people would be ‘in the right place at the right time’ to make this story all come together. Much of this book seemed either predictable or unbelievable to the point I was uninterested with how it would all turn out. The bit of suspense at the end seemed to be the redeeming quality, but even it turned out to be a little convenient for those involved. Bottom line - not looking towards the rest of this series. It's not every day I pick up a book and actually like both of the main characters, but this was one of those instances. I absolutely loved both Laurel and Thomas, and for many of the same reasons. We meet Thomas first, and our first impression is he is a hard working man, willing to pay his dues and deal with whatever life hands him. He has fought in the war, spent time as a prisoner of war, and then found himself in the local jail over gambling debts. Because of his willingness to take whatever he gets, he finds himself the victim of abuse from those in authority around him. As we get to know him, we learn he had a very tough childhood, provided for himself until he entered the military, and came out a better man because of all of it. The way Thomas immediately fell into the protector role with Laurel made me want to give him a big hug. He is such a gentleman, and I wanted nothing but the best for him in life. Laurel has a heart of gold. We first meet her as she is serving water to the prisoners working on her land. It is this glimpse into the kind of woman she is that wins your heart immediately. She thinks very little of herself, but not in an annoying way. 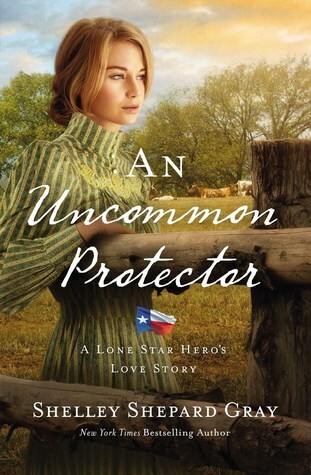 She simply believes she is a plain girl just trying to save the ranch she inherited from her family. Laurel also recognizes she needs help, and she finds herself purchasing Thomas from the jail. As soon as these two make their way back to her ranch, it becomes obvious they belong together. Unfortunately, each of them is determined to honor the employer/employee relationship created for them. As they find themselves in danger on the ranch, we get to see a vulnerable and protective side to each of them. These traits just made me like each of them even more. I could not wait for them to figure out they were supposed to be together. This is a wonderful story of love, grace, forgiveness, and redemption. It is beautifully written and deserves a spot on your reading list this year. This book captured my attention from the very beginning. 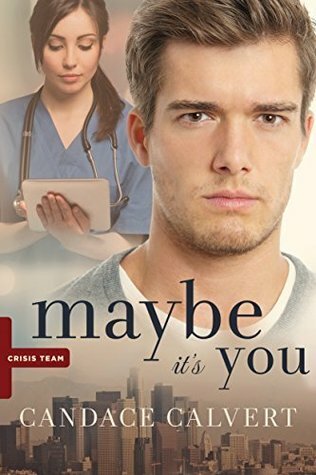 I am the marketing director at a hospital, so the fact that one of the main characters in this book was a hospital marketing director just pulled me in. I didn't read the first two books in this series, but I had no problems getting to know these characters and the situations they were in. Sloane is a mystery of a woman, but we quickly learn she has a very dark background that has her life in danger, as well as the lives of those around her. The simple fact that she is a nurse shows she has compassion, but the way she interacts with her patients is perfection in showing the kind of person she is. Unfortunately, Sloan is always looking over her shoulder for the danger that is determined to find her, and it makes her a very private person unwilling to open up to those around her. I had a love-hate relationship with Micah. I felt a connection to him because of his career and understood the premise behind his behavior as a marketing person. I know how hard it can be to balance compassion with advertising and he seemed to have a great handle on the task at hand. Unfortunately, his task at hand had him constantly going after the stories and people who preferred to keep their lives under wraps. I wanted to tell him to back off but then found myself hoping he would fight for the love he was feeling in his heart. When danger does finally catch up with Sloan, it takes down everyone and everything in her life. I was so sad with the situations her friends found themselves in but was proud of the way everyone reacted and rallied around her. I completely loved how this story ended and where everyone found themselves when the danger made its way out of their lives.